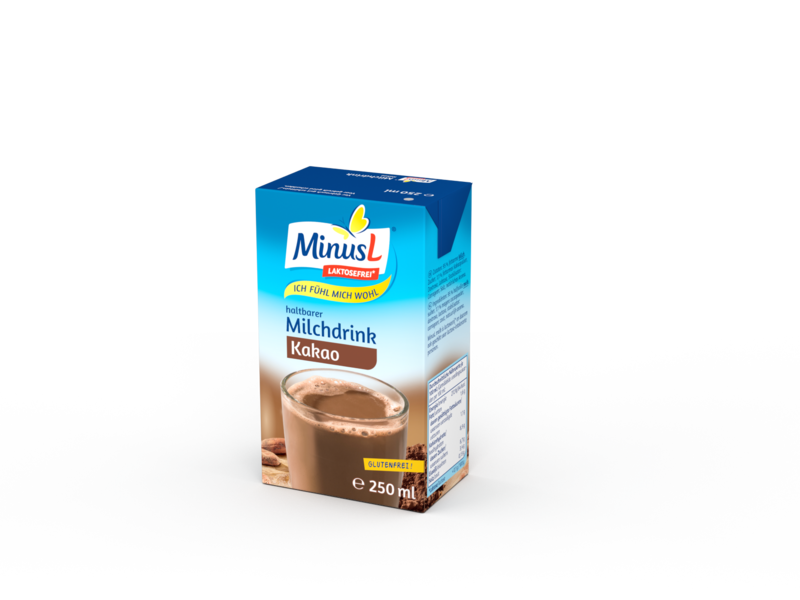 MinusL Choco Milk Drink for the sweet tooth for in between offers delightful proof for one and all. Simply delicious and chocolaty. Please note that products can vary in terms of their recipes and nutritional values. It is therefore possible that you receive commercially available products during transitional phases that bear the same product designation and optically identical packaging presentation yet contain and display either the new or the old recipe/nutritional values. The information made available to you online is updated by us with the greatest diligence on an ongoing basis and kept up to date. However, due to the abovementioned reason it can occur that the ingredients and nutritional values for a given product indicated here online differ from those on the product packaging. This is the reason why all information listed on the product packaging is ultimately definitive and must be strictly observed. Especially people with allergies to foods should generally take note of the list of ingredients on a packaging. We highlight allergenic ingredients by setting them in bold type and underlining them on the list of ingredients. If you are not sure about a product, please ask us about it. Remember that we need the following information from you: the precise product designation, the “best before” or “use by” date depending on the product, and also the specific lot number or batch code data when available.